Pickup Truck Adventures | LS Gen V Rumors: What’s coming in the next-generation small-block? Just how much technology is GM planning to throw at its next-generation small-block engine? That’s the hot topic among performance enthusiasts these days as the general prepares to introduce the 5th-generation or Gen V small-block V8 sometime in October. 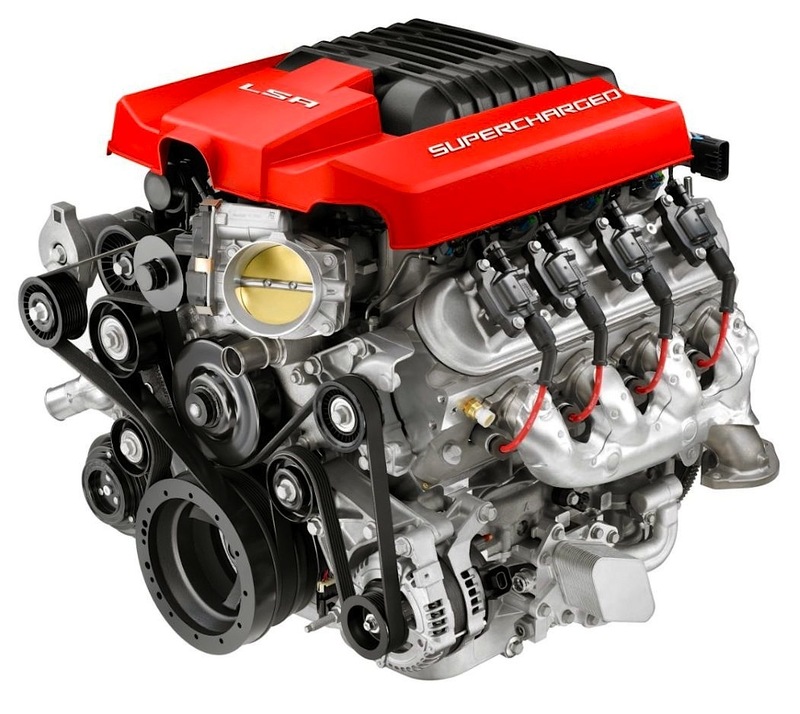 The Gen V line of engines will power the new C7 Corvette, which debuts in 2013, and the redesigned line of full-size pickups and SUVs that will be introduced as 2014 models. Those wide-ranging assignments alone shed considerable insight into the likely direction GM will take with the Gen V development. In fact, the engineers’ strategy could probably be summed up in a single word: versatility. The Gen V must appeal to horsepower maniacs and torque freaks as well as penny-pinchers at the gas pump. One logical game plan could focus on a durable but flexible base architecture from which engineers could hang any number of power adders or fuel savers. For example, the Corvette V8 could get a turbocharger or supercharger (or both!) for top-end power, then design a radiator shutter for fuel economy. The truck engines could get cam phasing or an active intake manifold to boost low-end torque, then mate it to an advanced mild-hybrid assist to save gas. Part of this curious storyline also involves the intense secrecy insulating the the new engine. Usually friendly sources at the Tech Center have been silenced. Friends of friends aren’t getting the slightest hint. Then GM sends mixed messages with the appearance of a purported Gen V engine in a photo that first appeared in Buffalo Business First and has been shared throughout the automotive community. From the holes in the exhaust manifold, the irregular bulges on the valve cover and an unfamiliar belt-driven pump–speculation has been rampant as to the engine’s new technical features. Best guess: that engine is a development mule equipped with sensors and other test gear and bears little resemblance to the final product that will be in the Corvette. Here’s the only official GM photo to reveal a part going into the Gen V engine–the fuel injector for the direct injection system. All the tight secrecy, combined with the abundant and exciting technical choices, have keyboards wagging in web forums and blogs. The speculation ranges from very intelligent engineer types offering interesting arguments for specific technologies to enthusiasts advocating every possible combination that screams horsepower. This was a full year before the Vette was introduced. Obviously the magazine couldn’t publish the photos, but armed with information gleaned from the images we could mount a full assault on our sources. We still didn’t get every prediction right. GM continued to make changes throughout the year before the introduction. My point is that there isn’t such a lucky, ground-breaking tip this time. This story did get a few hesitant confirmations from knowledgeable sources, and there were warnings that a couple prophecies might be too ambitious. Much of my reasoning is based on interviews with GM engineers from a year or two ago in which we discussed at length many new technologies that could work on a cam-in-block, OHV engine. Sometimes there was a definite zeal in their voice when discussing these designs in theory, and that could be interpreted as a peek into the future. But engineers are bred to pursue possibilities. It’s upper management and useless bean counters who divert innovative thinkers down the path of commonality. And the current atmosphere at the Renaissance Center is such that buzzwords like bailout, bankruptcy and IPO carry considerably more weight than volumetric efficiency, boost and cam phasing. Sure bet: Direct injection — GM has already confirmed this feature in a news release. Speculation focuses on where the injectors will be positioned in the cylinder head. Some say under the intake manifold while the Tonawanda photo leads other to believe they’ll be under the valve cover. Most likely they’ll be positioned similar to the injector location on the current 3.6-liter SIDI V6. Direct injection is more efficient with its higher resistance to detonation, and the engine can run with leaner fuel mixtures to help fuel economy, but it requires very high fuel-line pressures and can be noisy. Great moments in the Gen I history book: from left, the 1965 fuel-injected 327, the 1967 302 and the 1970 350 LT1. Sure bet: “Brand new combustion system” – GM officials have been quoted with those exact words. Direct injection does open up possibilities. We’re thinking that in the final analysis, there won’t a “brand new” system but rather a different approach to an existing combustion cycle. For example, GM references the “Atkinson cycle” in the 6.0-liter V8 in the Tahoe Hybrid when, in pure technical terms, it’s a modified Otto cycle to mimic the Atkinson effect. So, are we talking about an unmistakably new system? More on this later. Sure bet: All-aluminum construction — With tougher CAFE standards coming and current emphasis on fuel economy, GM will save all the weight possible and not offer iron blocks in the cars or light-duty trucks. However, even-money odds that an iron block will show up in 2500/3500 and/or medium-duty commercial trucks. Sure bet — 4.400-inch bore centers — GM won’t mess with tradition. Sure bet: Higher compression ratios – That’s an inherent benefit of DI to maximize torque and fuel efficiency. How high? Let’s start with 12.2:1. Sure bet: Nearly impenetrable engine-management electronics – Sophisticated hardware calls for ultra-sophisticated software. Not that the aftermarket won’t be able to get inside and play around with the programming; however, GM engineers are likely to have all the bases covered. GM has an arsenal of technology to consider, including a dual-cam-in-block construction that would allow independent phasing of the intake and exhaust valves. However, this setup is a heavy longshot for the Gen V.
Sure bet: AFM — Active Fuel Management, which is GM’s version of cylinder deactivation, will be standard. GM keeps getting more aggressive with the programming, allowing the vehicle to run longer on four cylinders under higher load conditions. Early versions of AFM were completely gutless, but sophisticated electronics will boost its effectiveness. Sure bet: Variable valve timing – No doubt GM will phase the camshaft, but more on this later. Sure bet: Following technology’s lead – Expect a number of small refinements that will add up to improve fuel economy, power and durability. Advancements in computer modeling and simulation mean that engineers can test thousands of possibilities in cylinder-head port design, cooling flow, block structure, lubrication and even servicing. Look for little tricks like coatings, fasteners and materials. 98% chance: Displacement possibilities – Motor Trend has predicted a 5.5-liter, 440-horsepower model for the Corvette, which is quite possible given that the Corvette race team is running a 5.5-liter engine. However, I’m holding that bet and putting my money on 5.3-liter and 6.2-liter versions. I’m also predicting there will be a 4.3-liter model, possibly in V6 configuration (remember, this platform has to be versatile!). 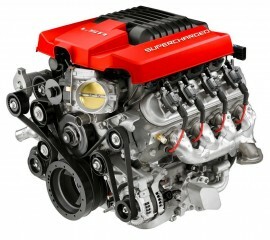 And I’m guessing that the first C7 Corvette engine will boast at least 450 horsepower. 95% chance: Raised camshaft tunnel – With direct injection, the fuel pump most likely will be driven by the camshaft. Raising the cam location offers a number of benefits for packaging the fuel pump, playing with the valvetrain geometry and allowing a larger-diameter cam core. It just makes sense. 93% chance: Dry sump oiling – Probably a sure bet on high-performance Corvette engines that will be released in later years to maintain momentum in the market. With the LS3, LS7 and LS9 engines proving the worth of dry sump, why not carry it over to other performance models? I just can’t lay odds right now on all Corvette models getting dry sump. However, it’s a 25-1 longshot to be offered on any truck. 90% chance: eAssist – In an effort to get the highest fuel economy, especially in the truck models, look for GM to include stop-start and eAssist-type technology. It’s been working in the cars, and it’ll carry over to other models in some form. 50% chance: Concentric camshaft – The Gen V will have variable valve timing for most, if not all engines. The question will be: will the phasing focus on the exhaust to help with emissions or on the intake valve to play with power levels? Just think if you could control both intake and exhaust valves independently of each other? But that’s difficult on a single-cam engine. One solution is a concentric cam or cam-in-cam technology. The Dodge Viper already uses this technology. Remember the raised cam tunnel prediction? This location also allows makes it easier for a concentric design. There are higher costs and challenges to manufacturing concentric cams, but the benefits multiply when combined with other features that could lead to a “brand new combustion system!” Independent valve phasing, combined with direct injection, will allow engineers to play with the combustion cycle in more ways we know right now. So, we’re laying even-money odds that a concentric cam will be introduced in at least one Gen V version but not across entire Gen V lineup. Less than 20% chance: 3-valve technology – GM has been teasing us for decades on this technology. It may be offered in a later performance model, but development cost constraints due to the bankruptcy and company reorganization likely postponed the release of any 3-valve Gen V model in the immediate future. But in a long-term prediction, it could come out in a special model when the Corvette gets a mid-cycle freshening. Less than 10% chance: Active intake manifold – This would seem to be a no-brainer for the truck engines, but there’s been no mention of it anywhere. This is one tempting longshot but we’re not betting right now. In closing, I’m very curious if GM has considered the hot-rodder, street enthusiast and racer in their development plans. GM seduced us away from the comfortable trappings of the traditional small-block heritage, only to get us addicted to the multi-talented LS engine family. As one leading engine builder told me, “You could sneeze on the LS and it’ll make horsepower.” But could the Gen V be so sophisticated and technologically advanced in its simplicity that only GM engineers will know how to have fun? Could GM steer us away from the Gen V and keep us hooked on the LS? Sometimes answers just lead to more questions. Feel free to challenge my predictions or suggest your own features and technologies that could be appropriate for the Gen V family. Email me at EngineLabs@PowerAutomedia.com. History of the small block, clockwise from top left: Gen I, Gen II, Gen III and Gen IV.